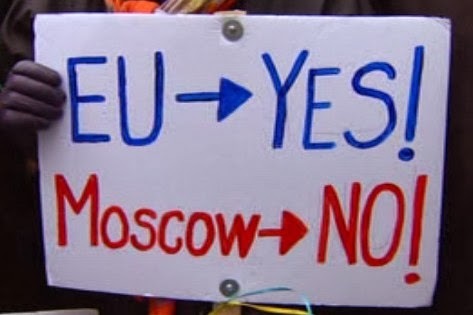 Ukraine finds itself in a precarious situation these days. For weeks, there have been protests even bigger than those during the 2004 Orange Revolution, which was actually successful in calling for the ouster of (fraudulently) newly elected Victor Yanukovych. He came back into power, and until now enjoyed relative stability and burgeoning Ukrainian pride from people desperate to escape from the shadow of the former Soviet Union. All is not well on the Korean Peninsula. 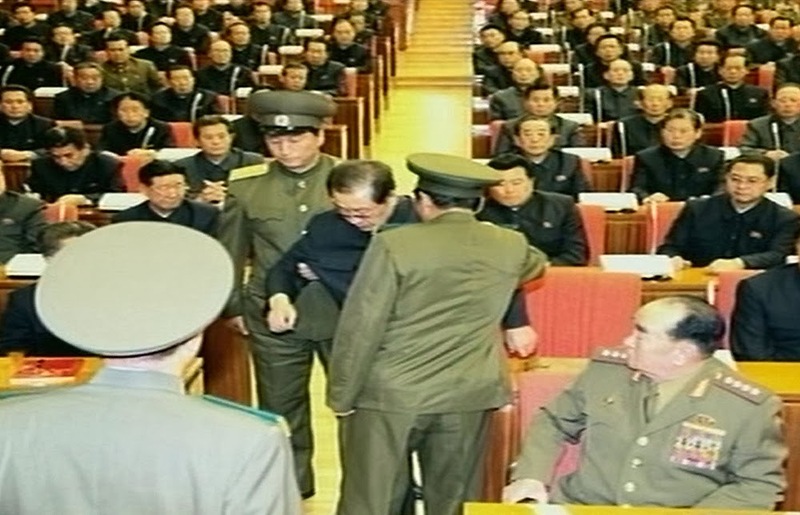 Earlier this week, reports surfaced that the man believed to be Kim Jong-un’s second-in-command in the pariah state of North Korea, Gen. Chang Son-taek, was forcibly removed from a Communist Party meeting. The public spectacle of his arrest was later confirmed by North Korean media, and pictures of him being led out of an assembly were met with reports that two of his close associates had been executed, and another had defected to South Korea. Today, observers were shocked by news (accompanied by graphic pictures) of Gen. Chang’s execution. Shocked not only because for years Gen. Chang was believed to be Kim Jong-il and then Kim Jong-un’s right-hand man, but also because he is in fact family: an uncle by marriage to the man who just had him killed. Nelson Mandela passed away at the age of 95 last week, leaving behind one of the greatest legacies of any human being from our lifetime. 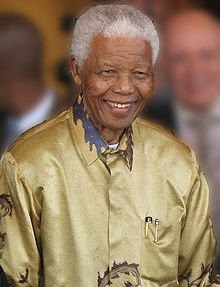 His courage and forward thinking led him from difficult revolutionary times in the middle of the last century all the way to becoming President of South Africa and ultimately being credited with the downfall of the Apartheid era, which ushered in the era of growth and prosperity South Africa has continued to join. Instead of listing the ways in which Mr. Mandela changed the world and the achievements he accomplished, one would have a simpler task of listing the things he did not do. Mandela had a place in the opposition to Apartheid racism as early as the 1940s, when he began being active in the African National Congress Youth League. His law studies at the University of Witwatersrand introduced him to many liberal-minded students from all over the world, grounding him in a global perspective that would serve him going forward over the next several decades. In leading up to Human Rights Day on December 10th, recent news seems to mask any progress: UN-authorized French troops intervene in CAR in response to the latter’s spiraling bloodshed; the revelation that the NSA collects 5 billions phone records daily from Americans and non-Americans alike; and the Libyan parliament passed legislation recognizing Islamic law as the centerpiece of its country’s laws and institutions. Not exactly leaps forward in protecting the rights to life, privacy and personal liberty, respectively. Because we don’t regularly hear about human rights triumphs or human rights defenders of celebrity-like status, most of us miss a crucial progression: human rights situations across the globe have improved—in some cases dramatically so—over the past several decades, and those suffering human rights abuses, and their advocates, have never been louder or better organized. Every year around Thanksgiving, it is typical, if not cliché, to sit around the table and give reasons to be thankful. This year, I’m thankful for the nuclear deal between the UN and Iran, and said as much at my family dinner, to many groans and eye rolls. Alternately celebrated as a successful performance of diplomacy and decried as the harbinger of nuclear war, the deal has already generated enough controversy to run for New York City mayor. Yet overall, its critics seem to have concerns that have little to do with nuclear weapons, and everything to do with local and regional geopolitics. The deal itself can be hailed as a huge diplomatic success for the United States – which received nearly every concession that it asked for in the negotiations – and a positive first step towards a less nuclear world. While some are posing the deal as the Iranians pulling one over on the US, in reality the P5+1 negotiators were very successful at extracting concessions from Iran. The deal, outlined in this excellent New York Times infographic, capped enrichment at levels safe for nuclear power only, halted production of new centrifuges as well as construction of the Arak heavy water reactor, mandated that uranium already enriched to 20% be diluted or converted, and overall, extended Iran’s “breakout time” – the time necessary to build a complete nuclear weapon – from less than two months to three or even four months. 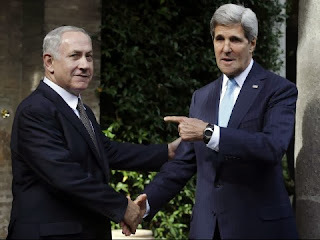 Essentially, the deal delays Iran’s ability to produce a weapon while still allowing it to have a peaceful nuclear program, which was the entire idea behind the original (US-approved and supported) nuclear program in the 1960s. In return, Iran has received about $6 billion in sanctions relief over the next six months. Many among the anti-Iran lobby have argued that this will give the government economic breathing room while it continues to develop its nuclear capabilities. While it is true that the sanctions relief, largely in the form of unfreezing petroleum revenue stuck in foreign banks, will provide some breathing room to the Iranian people, in a country that is losing an estimated $5 billion a month due to sanctions, it is just a drop in the bucket. To get further and more meaningful sanctions relief, Iran will need to finalize a permanent deal to come into force after the current six-month deal expires. That will mean more concessions, more oversight, and more opportunities for wary partners like Israel and Saudi Arabia to express their concerns and address them in negotiations. Since the entire point of sanctions is, in theory, to bring a belligerent actor to the negotiating table, the current deal appears to be a rare example of when sanctions actually succeed. There are still major obstacles to striking a permanent deal with Iran, or even fulfilling the current deal. First and foremost is that the deal includes an agreement on no new sanctions against Iran, something that the US Congress may ignore as they consider passing new sanctions this month. Republicans and many Democrats for once seem able to come together and pass a bill; unfortunately it is one that could compromise a once-in-a-generation opportunity. Another obstacle is the attitudes of two of the United States’ strongest allies in the Middle East, Saudi Arabia and Israel, who, like the Congress, are divided on almost every other issue except for Iran’s nuclear program. Israeli Prime Minister Benjamin Netanyahu has called the deal an “historic mistake” that has thrown Israel’s entire future into jeopardy. Saudi officials have also made rare public statements deploring the secrecy of back-channel talks prior to the public negotiation of the deal. While the populations of Israel and Saudi Arabia may certainly fear Iran’s acquisition of the bomb, the two countries’ governments are more preoccupied with the threat of an Iran fully integrated into the international economy. 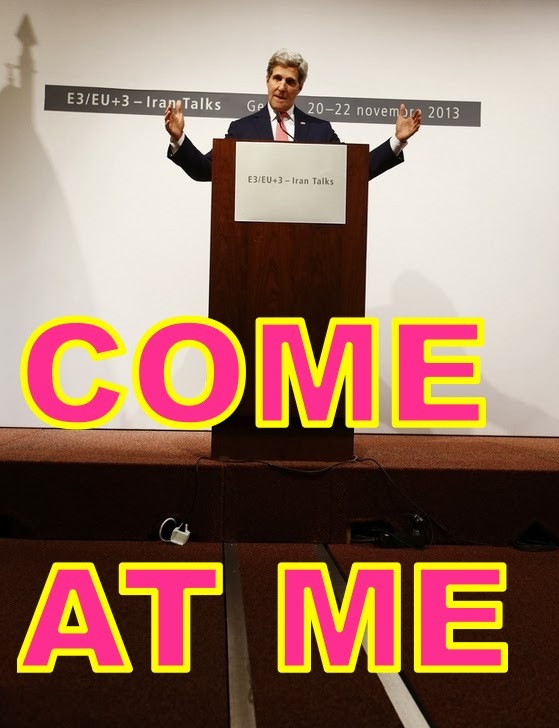 These fears were more than amply laid out by Stephen M. Walt in a recent Foreign Policy piece, but in sum, the deal’s opponents have far more to lose from an integrated Iran than a nuclear bomb (no, really). Saudi Arabia has long vied with Iran for dominance in the Middle East, and especially fears Iranian influence on its Shi’ite population, which happens to be located exactly where the largest Saudi oil reserves are. Israel also fears the economic power that Iran could wield if sanctions were lifted, foreseeing that its large, well-educated population could soon overtake Israel as the most developed country in the Middle East An economically empowered Iran would at least would take a bigger piece of the economic pie, which would give it opportunities to project power throughout the region. Detractors (ahem, Ted Cruz) have already held up the example of North Korea (which signed an agreement aimed at denuclearization in 1994 only to test its first nuke in 2006) to decry the current deal. Yet Iran is different for so many reasons, and the bleak warning signs that existed with North Korea have yet to materialize within Iran. In Iran, too, there are still challenges to overcome. The country at large reacted with joy at news of the deal: the prospect of sanctions relief, economic recovery, and a legitimate and recognized peaceful nuclear program were greeted with jubilation. Yet many powerful Iranians actually benefit from the sanctions regime through the black market and corruption, and security hardliners who have the ear of Ayatollah Khamenei are unlikely to come on board anytime soon. If the benefits of sanctions relief outweigh the rhetoric of the hardliners, however, the Iranian population and its current administration might stay the current course and remain on track to a permanent deal. At this moment, I remain cautiously optimistic that this deal will delay the Iranian nuclear project and set the stage for a long-term treaty. 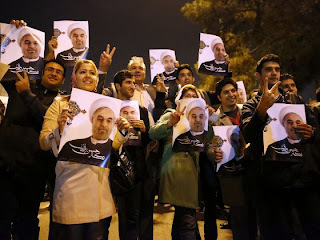 While I agree that Iran has a right to a peaceful nuclear program under the Non-Proliferation Treaty, I am opposed to a nuclear-armed Iran, not least because this would likely lead to a nuclear-armed Saudi Arabia and a ramped up regional Cold War. This deal is the first step to ensuring that all sides get the best possible outcome, and is the first shot that diplomats have had in years to end the antagonism between Iran and the United States and its allies. A best-case scenario would be a halt to the Iranian nuclear weapons program, a thawing of relations between Iran and the US and its allies, reintegration of Iran into the global economy, and a better standard of living for Iranian citizens. In international affairs, however, the best-case scenario is rarely the one that plays out. For now, I’ll settle for a temporary halt to the weapons program, and a glimmer of a hope that the decades-long culture of dangerous US-Iran animosity is finally drawing to a close.